India is primed to invest heavily in the oil and gas industry in a number of countries. What can ASEAN member nations expect in the near future? When we think about the oil and gas industry on the Asian continent, we tend to imagine the likes of Malaysia and Russia. However, India could be a new home for professionals with oil and gas qualifications. The country is currently looking at ways to develop its burgeoning oil and gas industry by offering attractive pathways for major companies and trained professionals. So what does this mean for jobs in the industry, in roles relating to well control and well intervention? 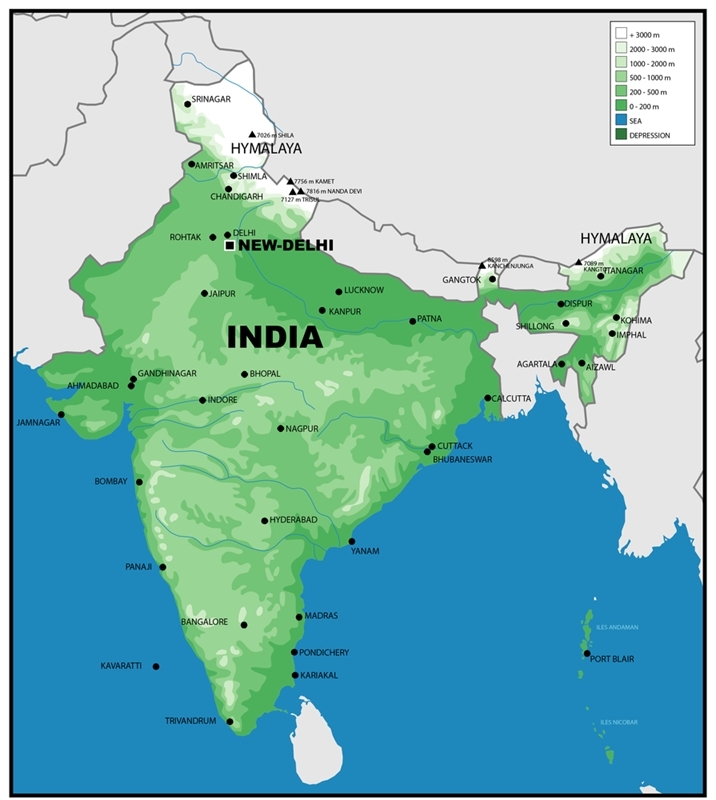 What does India’s Look East Policy mean for those with IADC certification? India is no doubt one of the economic powerhouses of the contemporary world. According to Trading Economics, in 2015 Gross Domestic Product (GDP) in India was estimated to be worth over US $2 trillion. In comparison to the global economy, the Indian GDP represents 3.34 per cent, while it has an annual growth rate of just under 8 per cent. To fuel economic growth, the Indian government imports both oil and gas in large quantities. Statistics from GE show that in 2012 India imported 82 per cent of consumed oil, which cost the industrial giant $120 billion. Between 2000 and 2012, natural gas consumption doubled and the use of imported gas rose from zero in 2000 to 22 per cent in 2012. The Economic Times reported that Power Minister Sushilkumar Shinde believes India is on track to be the third-largest energy consumer by 2020 (after the US and China). However, with demand outstripping domestic production capacity, the country is spending valuable foreign capital on procurement. To overcome this dependency, India is also looking to expand its oil and gas industry by developing 67 new fields. India’s Minister of State for Petroleum and Natural Gas is promoting the bidding process to a number of interested buyers across the globe. The rise in domestic energy investments has been driven by federal government cuts to energy importation. In addition to the development of domestic fields, India is also looking to the enhance trade deals with major producers. For instance, the country’s largest oil company – state owned Oil & Natural Gas Corp – recently completed a $1.3 billion acquisition of 15 per cent of the Vankor oil field, Bloomberg reported. With India continuing to increase its production, what does this mean for the ASEAN community and its member nations? India has a lot to offer the ASEAN community. Since an initial dialogue was opened in 1992, ASEAN-India relations have have grown rapidly over the last decade. The annual ASEAN-India Summit is indicative of this relationship, with the 2012 summit helping elevate relations to a Strategic Partnership. India’s focus on its Asian neighbours is a concerted effort. Acting on their Look East Policy, the superpower is investing large funds into a number of sectors. For example, it has an ongoing connectivity, culture, and commerce project that is based on a $1 billion injection into the promotion of communication. With large capital reserves, India could be a major investor in the ASEAN oil and gas sector. However, these are the early stages and India must further strengthen its collaborative relationship with the community. But by promoting economic revival and seeking strategic cooperation across the oil and gas market, India could help pave the way for growth. If this all goes to plan, ASEAN member nations may need professionals with oil and gas training. From Malaysia well control to IWCF qualifications, individuals with the right training can take advantage of the benefits Indian investment will bring. To ensure you are not left out, make sure you engage with Harness Training. With an assortment of experienced, dedicated and diligent trainers, you can gain the theoretical and practical skills you need to succeed. Talk to a representative of Harness today to find out more.